Order online for Milford and Kenwood, OH and pick up by appointment for cookie cakes and platters. 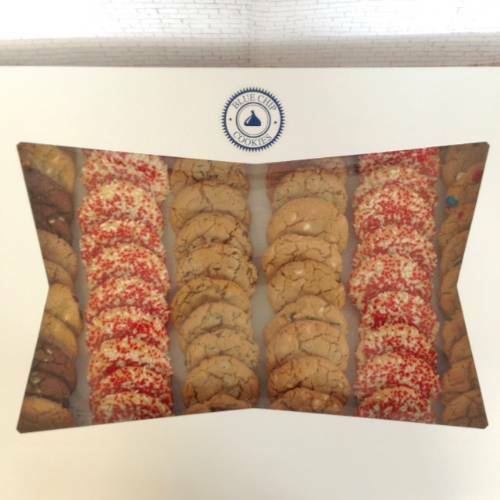 Call us for the Holiday Cookie Boxes and Tins at all locations. **Orders for Leawood, KS and Newport, KY requires a phone call to the store. 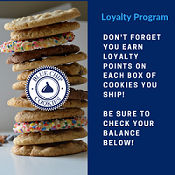 Blue Chip Cookies Direct (Corporate Office, Online, Corporate Gifts and Pick Up. Blue Chip Cookies of Kenwood Towne Centre. Place orders online for pick up and delivery available, please call. **If you would like to order and pick up in Leawood, KS please call them directly at 913-663-1163. Must be ordered 24 hours in advance and no later than Wednesday 12 PM for Thur-Sat Pick Up. 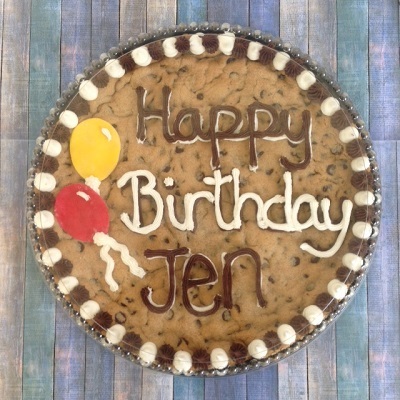 Cookie cakes come in 3 sizes at our Milford Location, either simple or customized cakes. Chocolate Chip is typically ordered 98% of the time, however feel free to order a different flavor. Our cookies cakes are deep dish, not thin and shallow! Our iced cookies use only buttercream icing, even to decorate with. We decorate with sprinkles or simple symbol. The cookies are 3 inches wide. Create your own cookie platter. 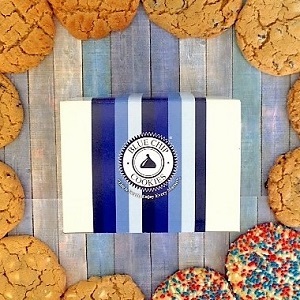 Please note platters cookies are not sealed in bags when on platters. If you would like to buy boxes, please call our local stores. 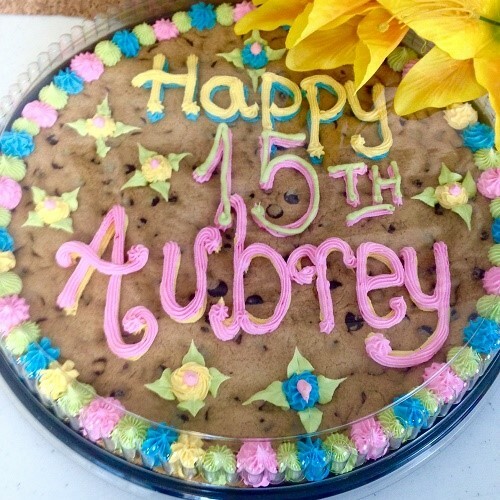 Cookie cakes come in 3 sizes at our Kenwood location and we can do a simple design or customized. Choose the size and flavor you want (although Chocolate Chip is ordered 98% of the time.) Our cookies cakes are deep dish, not pan and shallow!